Unicorns, centaurs, and introverted people pros: they’re all creatures of myth. Or so we thought. This isn’t a case of mistaking some tarted up horse for a unicorn. Real, live, introverted people pros have been spotted in the corporate wilds. They exist. More than that, they’re thriving—and so are the teams they oversee. What does ‘people person’ really mean? Going into human resources? You must be a people person. HR has historically had a reputation for extroversion—and that expectation is only heightened when you start talking about individuals in the people ops department. 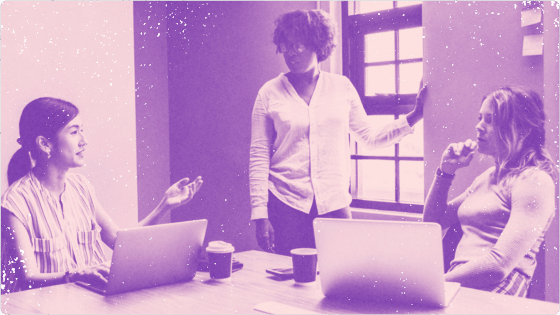 Whether they’re called, ‘directors of employee experience,’ ‘chief people officers,’ or ‘talent coordinators,’ the mandate of these positions and others like them is to build a connected, engaged team. Presumably, that would mean spending quite a bit of time with people—an extrovert’s dream job. These are folks energized by being around others, after all. And sure, the majority of people and culture pros are probably extroverted. But as it turns out, you can like people and still find them tiring to be around. You can build an engaged team, even if engaging with others tires you out. You can be an introvert and a people person! Exhibit A: Laszlo Bock, head of People Ops at Google. This is the guy who wrote Work Rules!, one of the definitive guides for modern people pros. This is the guy who took Google from 6,000 employees to 60,000 and made sure the culture scaled, too. He’s also the person who designed an employer brand worthy of some 100-plus awards naming Google one of the world’s best places to work. And the guy who did all that? He’s an introvert. “I need time to myself or with close friends or family to recharge,” Bock told Lifehacker last year. In fact, people often misunderstand introverts, regardless of what department they’re in. Not at ease with small talk and strangers, they don’t often make the best first impression. And since introverts might not be as vocal (or as good at office politics), their unique needs can wind up buried in the ball pit or drowned out by office music. You know—forgotten. In 2012, Susan Cain’s Quiet sparked a lot of chatter on the topic (somewhat ironically), but the conversation has since been rerouted by bright and shiny signposts marking the future of work. Group brainstorming. Team parties. Open offices. This is, by most accounts, the road we’re heading down. Quieter colleagues are the accidental casualties of this workplace revolution. All that socialisation and stimulation? It’s far from any introvert’s ideal. This is bad news for everyone—businesses and employees alike. In the past few years, Pinterest publicly vowed to hire a greater number of female engineers. HubSpot promised to recruit older employees. Meanwhile, Google is actively trying to bring more minorities on board. They’re all feel good stories, backed by a business reason: diversity is good for the bottom line. Companies scramble to fill their ranks with people from all walks of life, knowing they’ll see a strong ROI on these hiring practices. It’s simple: different perspectives lead to increased innovation. And that gives you a market edge. This emphasis on diversity should extend to how we socialise as well—but it’s been lost in the conversation surrounding cultural fit. These days, we’re focused on finding people we’d want to be friends with outside of work. Introverts don’t fit the bill—at least not at first glance. 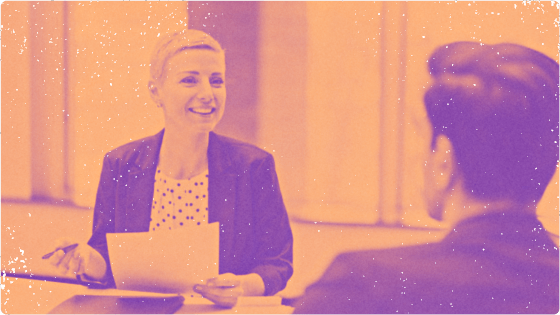 Job interviews are geared toward people better at selling themselves, people who can forge an immediate connection with the individual on the other side of the table. In other words, they’re geared toward extroverts. While most introverts aren’t shy, unfriendly, or disengaged, our socialisation style can make us appear that way to new acquaintances. Modern, casual interview styles only make the problem worse. People still expect a job interview to be somewhat formal, and while extroverts can adapt to the unexpected atmosphere quickly, an introvert, prepared for a traditional interview, may struggle to adjust. That’s if we even get to the interview stage. As mentioned above, the modern office culture so prized by extroverted people pros can be alienating to quieter candidates. An “About Us” page that emphasises whisky socials or office dance parties may have introverts running the other way. That’s why it’s important to have introverts in the people ops department, why it’s so refreshing to see the amazing work that professionals like Bock or Wadors are doing. Too often, the culture conversation revolves around Karaoke Fridays, ping-pong tables, or weekly parties. It’s easy to see why: what’s more newsworthy—a company’s ‘quiet’ corner or the fact that they’ve built a ball pit in the boardroom? But with introverts on board, the people ops crew can avoid creating a culture that caters exclusively to a more gregarious, outgoing crowd. Sure, Google has bowling alleys and open workspaces; you can hit up the music room to practice your DJ skills. But it’s also got a private library, accessible only by a secret passage. Or noise-cancelling nap pods, for when you need a break from office stimulation. Linkedin is a similar story. You’ll find the usual game areas or conversation lounges, even the requisite ping-pong table. They actually have an arcade in the Australian office. But amidst the noise and bustle, there are also company sponsored meditation classes, quiet workspaces and they even offer the option to telecommute. This year, Wadors introduced the Quiet Ambassador Program, which provides Linkedin team members with specialised mentorship on how unique personality types can succeed professionally. In other words, there are initiatives that acknowledge the needs of introverts. You’ve heard it time and time again: the future of work is really about the employee experience. But if we ignore what that experience is for a third of our team members (that’s right—one in three people are introverted!) is the future of work really as bright as some claim? Thanks to introverted people pros like Bock and Wadors, maybe. They’re helping to create workplace cultures that include everyone, offices that facilitate different sorts of socialisation. Companies need to follow their example going forward—and refuse to let social diversity be swallowed up by ‘cultural fit’. Let’s rethink our definition of a ‘people person.’ As it turns out, introverts will make a solid addition to your HR or people ops team. Do you have any thoughts to share on this topic? Let us know in the Comments section — we’d love to hear from you. To encourage the introverts and extroverts on your team to effectively communicate in and contribute to company meetings, keep these tips in mind. It's time for the job interview with your potential new hire! Here are some tips for making your overall assessment of your candidate.